Dr. Britt Andreatta, a learning and leadership development expert and author of The Neuroscience of Learning, emphasizes that professional learning can be broken down into three phases: Learn, Remember, and Do. She also asserts that learning programs should focus more on the “Do” phase since that is what makes the learning stick – where competence and behavior change occurs. This message resonates in continuing medical education (CME), where the goal is to effectively change the competency and behavior of physicians based on new medical evidence. In CME, the “Do” phase means delivering educational opportunities for physicians to personally practice applying the “Learned” information in realistic situations, so that they’ll “Remember” it. 1. 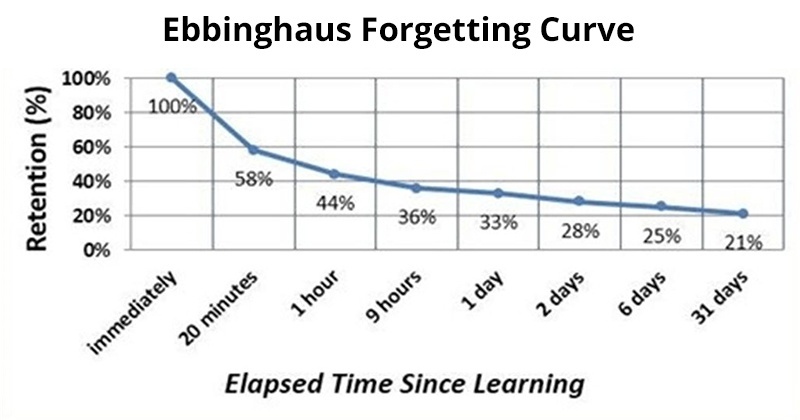 The Forgetting Curve: The forgetting curve is a well-known problem when training professionals. Learners forget critical pieces of information, and cannot successfully apply it in their own situations. Practice reinforces and personalizes the information, so it’s better retained. 2. Skill Acquisition: Most areas of medicine are complex. Learning how to apply new evidence in a case study, or memorizing a process will not be enough to appropriately apply the information with patients. 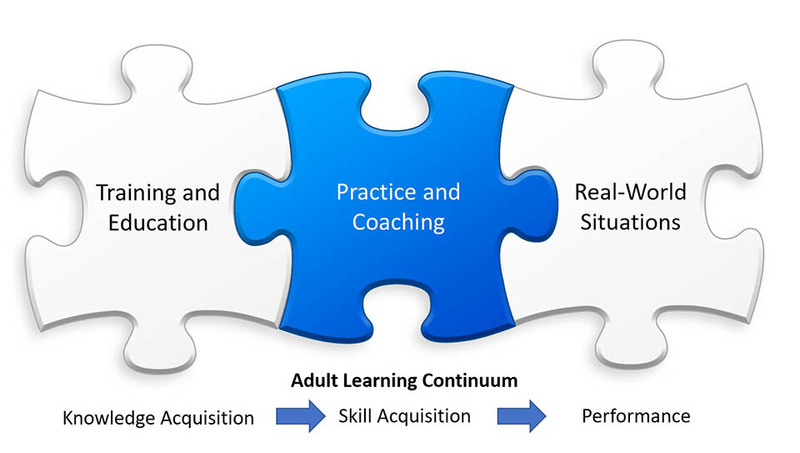 Skill is required to develop a robust mental model of how to adapt what was learned to specific clinical situations. Skill is only developed through practice and coaching. 3. Confidence: Asking a physician to change their mental models and make different decisions with their patients is a tall order. Before changing their behavior, physicians must feel comfortable that they can do so safely. Ideally, that confidence comes through mentored practice that includes feedback on their decisions. After all, each patient presentation will be unique and require personalized decisions based on the physician's newly-acquired skill. Unlike many professions, physicians cannot “practice” in real situations. The stakes are too high. Therefore, we need to provide virtual practice with feedback on their decision making, so they can gauge their level of competency. Live Practice: The ideal way to learn a skill is with a clinical mentor; someone who can coach the physician through the decision processes with their patients, and set up diverse clinical situations to work through. The clinical conversation would focus on nuanced clinical perspectives, and the advantages and disadvantages of alternative approaches. Often, medicine does not have right or wrong answers. So this dialog is essential for the physician to recognize the mental models the expert mentor uses to work through their own decision making. This approach is obviously time consuming, and is not usually a feasible educational strategy! The Symposium: Many live CME events bring thought leaders to a venue (or webinar) where they work through case studies. These events accomplish the “Learn” and “Remember” phases very well. The “Do” phase is more mixed in effectiveness, with the best events involving audience participation in decision making with discussion. Because the decision making and feedback is limited, and not personalized, skill development is incomplete and requires further reinforcement before a physician will feel comfortable changing their clinical behavior. Virtual Practice: The goal of virtual practice is to emulate the live practice experience with a clinical mentor, through scalable technology. In this way, thousands of physicians can develop new clinical skills with expert coaching in a cost-effective way. Pattern Recognition for Skill Development: The best way to create virtual practice is through a series of well-crafted decisions that allow the learner to recognize patterns of optimal decision making. This pattern recognition is essential to effective skill acquisition. Isolated case studies or clinical vignettes do not create this pattern recognition; though, vignettes are excellent tools for clinical assessment as championed by Peabody. Realism for Effective Transfer to Real Situations: Substantial medical simulation research over the past 40 years, demonstrates that realism is important to the effective transfer of skills to real-world situations; not only the realism of the clinical content, but the experience. 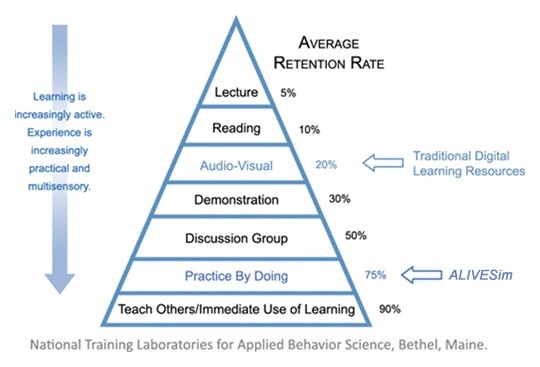 As shown in the well-known retention pyramid, more interactive, multisensory methods lead to higher retention. 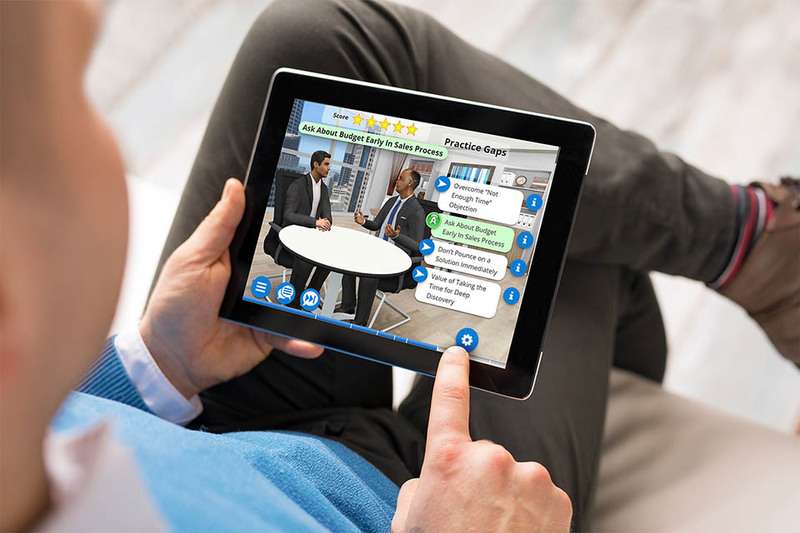 Basically, if the learner feels more immersed in a virtual situation – such as with interesting, interactive dialog – the better that virtual experience serves as a surrogate for real-world experience. Clinical Feedback as a Coaching Tool: Effective practice requires feedback. Everyone understands that an athlete or a musician’s skills will improve dramatically with coaching. The same principle applies to physicians. Expert mentoring/coaching is particularly effective in medicine, where evidence-based decision making is rarely black or white. Providing virtual, conversational feedback for each of the physician learner’s decisions, will help them recognize optimal decision paths, particularly when they can practice in multiple, diverse situations. With the explosion of complex clinical evidence around molecular testing and targeted therapies, it is now more important than ever to invest in continuing medical education focused on the “Do” phase of professional learning. Innovative virtual practice technology offers a scalable way for physicians to practice building clinical skills, so they can confidently apply new, evidence-based knowledge to improve patient outcomes. After You Train People, They Forget! What Should You Do? 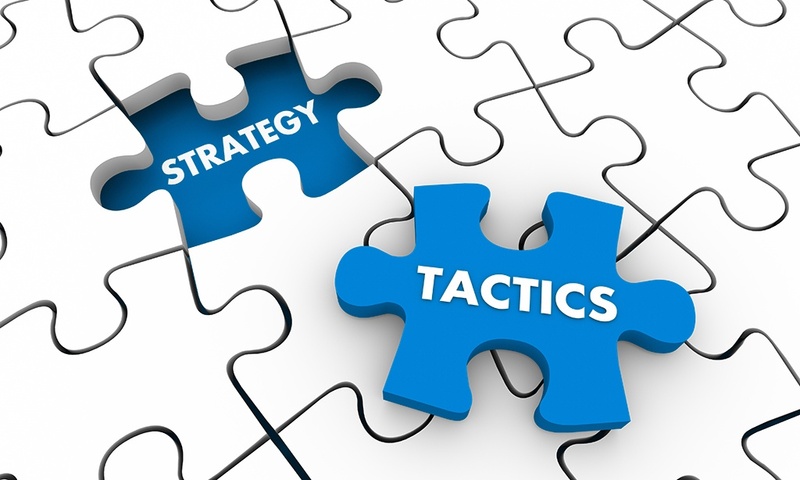 Sales Performance: Tactical vs Strategic Initiatives…What’s the Difference?